More and more, it seems that agencies like ours are not only being judged by the work they do for their clients but how they work for themselves. I was recently a panelist at an AIGA St. Louis Chapter Design Business Roundtable event where we addressed these very topics of self-promotion. How do agencies of varying sizes make connections that work? What works for individuals and freelancers when self-promoting themselves, and what do we as agencies respond to? Our job when self-promoting our work is to excite. We want to inspire our clients and our potential clients with examples of how we’ve executed great ideas that produce results. We want clients to see themselves in all of our work, and to want that same level of creativity – every time. When we self promote, our most influential stories are those that go behind the scenes, showing clients how they fit into the process. Design is never a job where agencies disappear and magically come back with great results, so why continue to make it look as if this was the case when we show our work? Example: We put together this short video to show how branded imagery for Opera Theatre of Saint Louis comes to life, illuminating parts of the process that rarely see the light of day — these personal stories are the ones we see audiences responding to with great delight. It’s important not to forget the role that reassurance can play in self-promotion. Starting a new relationship with an agency can be a scary thing. Smart design and thoughtful execution is never “cheap,” and sometimes the process that it takes to pull out the right message is rigorous. Our goal is to reassure clients that we, as experts, have tackled similar challenges before, and each time there’s a unique and compelling story waiting to come to life. It’s important for potential clients to know who we are and what we’re like to work with. We know this is true because we see it in our website’s stats — our people pages are just as visited as our work pages. Good content creates the greatest engagement, and this is as true for agencies as it is for the freshly-graduated student looking for a job in the industry. When we’re hiring for any position, good content is the main thing that helps a candidate rise up from the great pile of sameness. Self-promotion through social media content is ever-evolving. Sometimes it seems the promise of social media has eroded to become solely a platform for promotion by companies (and individuals) – so it’s important to think about what will make your content different. 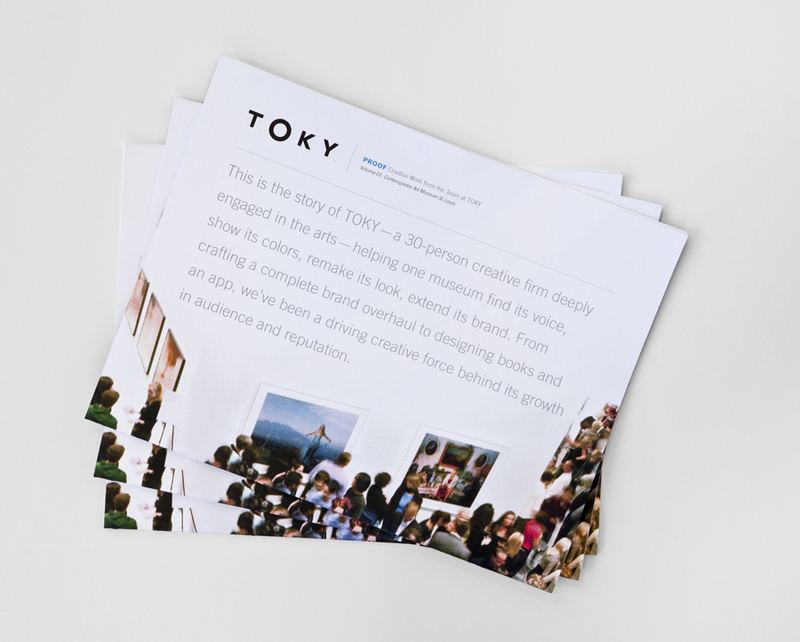 Example: One component of our new business efforts involves a large-format printed case study called PROOF, each issue going deeply into how we worked for a particular client. There’s still something nice about receiving a finely-crafted printed piece in the mail. To put it simply – to develop a self-promotion strategy just add your own genuine voice to an honest approach. Documenting, writing and sharing your work in the right way is the best way to establish yourself as an expert, and to open up new possibilities and opportunities. To find out more about upcoming AIGA Designer Business Roundtable events. Connect with AIGA St. Louis on Facebook or Twitter.